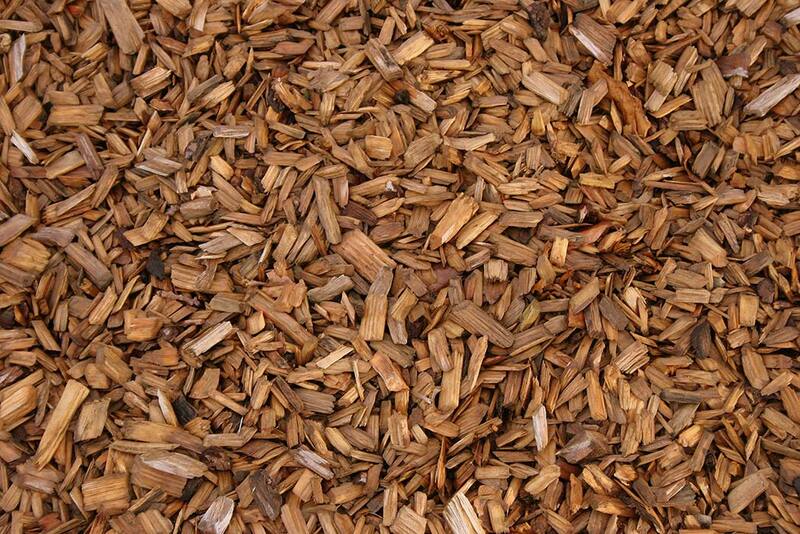 Calculate the mulch needed to cover your landscape. A simple guide for planting trees and shrubs. There are many factors to consider when choosing trees and shrubs for your home landscape. One factor that is often not given the proper amount of consideration is the size that the plant will attain at maturity. Choosing the wrong plant now can create real problems down the road, especially when large-growing trees are planted too close to buildings or power lines. It may be hard to picture how a small nursery plant will look years later, but catalog descriptions ought to be heeded. Other aspects of the site need to be taken into account as well. Is it sunny or shady? Is the soil dry, average, or does it stay wet? Is it heavy clay, loamy, or sandy? Is it protected from strong winds or is it exposed? As you begin to narrow your list of possible candidates, look further into the pros and cons of the plant you are considering. Is it susceptible to insects or diseases? What is the growth rate? What ornamental aspects does it offer throughout the year? What maintenance does it require? How well does it hold up to extreme temperatures? A commonly misunderstood term you are likely to encounter when shopping for plants is hardy. A hardy plant is one that should survive winter temperatures if properly planted. The U.S. is divided into “Zones,” from 1 to 11, based on the average minimum temperature that region receives. Aplant listed as Zone 6 or below is cold-hardy in the Cincinnati area, where the average minimum temperature is 0 to –10 F. Hardy does NOT mean a plant is fast-growing, resistant to disease, tolerant of extreme heat, or easy to grow—only that it can survive a certain low temperature. Spring and fall are the best times to plant most trees and shrubs. In spring, plants are resuming active growth and will root in and become established relatively quickly. Most will require some supplemental water, however, as the weather heats up, and water needs should be monitored closely. In fall, conditions are good for planting, too. The air is cool but the soil is still warm, and although top growth has shut down, roots continue to grow. With adequate water and good planting procedures, trees and shrubs can be safely planted all summer as well. With care they can even be installed during mild spells in winter. Don’t work the soil when it is wet, particularly if it is a clay soil. Wet soils are vulnerable to soil compaction, which reduces oxygen content and inhibits root growth. Dig the hole no deeper than the rootball. Planting too deep is a major cause of plant death. In heavy clay soil, you may even want to plant a few inches above-grade to improve drainage. However, “planting high” exposes some roots, so be sure to mulch after planting. Dig the hole 2-3 times the width of the root ball—the wider the better. Planting Container Trees and Shrubs: Avoid handling the plant by the top as much as possible. Tip it over and tap the edge of the pot to remove the plant. If it won’t come out easily, cut the pot off. If the plant is “rootbound” (long roots are circling around the rootball), cut several slices into the sides and bottom of the rootball with a sharp knife. Trim off any dead or damaged roots. Planting B&B Trees and Shrubs: Balled and burlapped plants (B&B) are dug from the field with a ball of soil around the roots, wrapped in burlap, and sometimes put in a wire basket for additional support. They are much heavier than comparable container plants and special equipment may be necessary for handling all but the smallest trees and shrubs. Avoid handling the plant by the top as much as possible. When planting in good, loamy soil, set the plant in the middle of the hole and backfill with the same soil you took out. Planting in heavy clay soil is not so simple, as poor drainage can prove fatal to many species. Do not put gravel in the bottom of the hole, as this will not improve drainage and will only decrease the dimensions of your hole. One planting option is to dig a wide hole and refill with the same soil you dug out, but in doing so you must choose a plant that can tolerate a compacted, heavy clay soil. Plant choice will be limited in this situation. Another option is to amend the backfill, mixing better soil or compost or other organic material in with the backfill. The resulting mix should be similar to the existing soil, otherwise you will likely create a “bathtub effect”—the hole will not drain well and the plant will drown. Better yet is to amend the entire planting bed, so that roots encounter the same medium as they expand. Fill the hole three-quarters full and firm the soil to eliminate large air pockets. If planting a B&B plant, cut any strings around the trunk and fold the top of the basket down if possible. Don’t remove the burlap and basket completely. The burlap will degrade in a short while and the basket will not harm the plant. Trying to remove either will usually result in serious damage to the plant. Fill the hole with water, then fill the rest of the hole with backfill and water again. Final Steps: Watering: Proper watering is the most critical factor in the success or failure of newly planted trees. Trees and shrubs should be watered about every 5 to 7 days if rainfall is insufficient (1” per week) during the first year of reestablishment. A long, slow, gentle soaking will ensure that the entire root zone gets saturated. Be aware that over-watered plants may show the same wilting symptoms as underwatered plants. Over-watering by well-intentioned treeowners probably kills more plants than under-watering. Mulching: Spreading 2-4 inches of organic matter such as hardwood mulch or pinestraw around the newly-planted tree or shrub will help to conserve moisture, control weeds, and keep root temperatures from fluctuating rapidly. Keep mulch 3-4 inches away from the base of the plant, as piling mulch on the crown encourages disease, insect, and rodent damage, and can even suffocate the plant. Fertilizing: In most cases, fertilizing newly planted trees and shrubs is not recommended. Plants have a limited ability to take up nutrients during the first year of re-establishment, and even after that first year, they usually get all they need from the existing soil. Faster growth can be encouraged with fertilizer, but fast growth can make a tree weaker-wooded and also more susceptible to disease. Have the soil tested if there are concerns about nutrient deficiencies before applying fertilizer. Staking: Most trees will not need staking, but if the tree is top-heavy and in an exposed, windy location, some support may be necessary. To prevent scarring, use a soft, flexible material—like a piece of old garden hose—to attach the wire to the trunk. Allow some “give.” Trees allowed to sway gently will naturally build up a stronger trunk. Never leave a stake on a tree for more than one year. Register your new tree and receive information on this initiative. Gardening programs and classes in the Cincinnati area. Plant sales, kids’ gardening activities, and community gardening projects are also available. Great pictures and useful information on hundreds of varieties of both woody plants and herbaceous perennials. Great information on hundreds of plants grown in a climate very similar to our own. An excellent resource with several fun, creative ideas on gardening for kids. A collection of photos and info on a wide variety of woody plants. A fantastic library of high quality images. Database of hundreds of gardening questions and answers, just type in a keyword. From Ohio State University. Information on Ohio growing conditions, pests, diseases, and cultural problems, updated weekly between April and October. Includes link to Theodore Klein Plant Awards. Includes ONLA Plant Selections for recent years. Includes information on current and past Perennial Plant of the Year selections as well as general information on growing perennials. On-line version of an excellent gardening magazine with articles by top designers and horticulturists. Lots of great information on butterfly gardening from a pair of local butterfly experts. This organization is located in Clermont, Kentucky. Their site includes information on Bernheim Select Urban Trees. Horticultural images and information software.